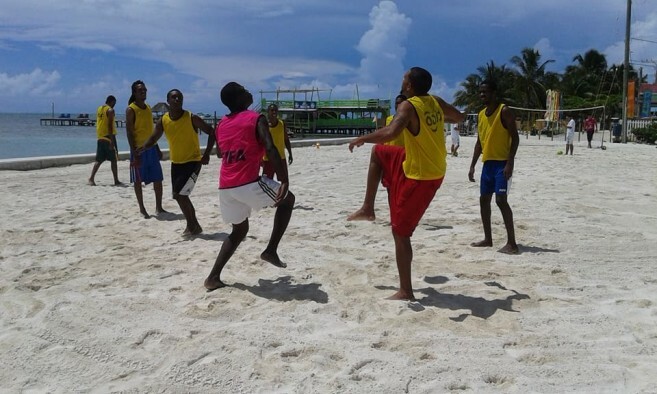 Caye Caulker’s The Lazy Lizard Restaurant’ kicked off its first annual Beach Football Tournament on Saturday, June 17th. Five teams from across Belize took part—San Pedro, Caye Caulker, Belmopan, Belize City, and Corozal. 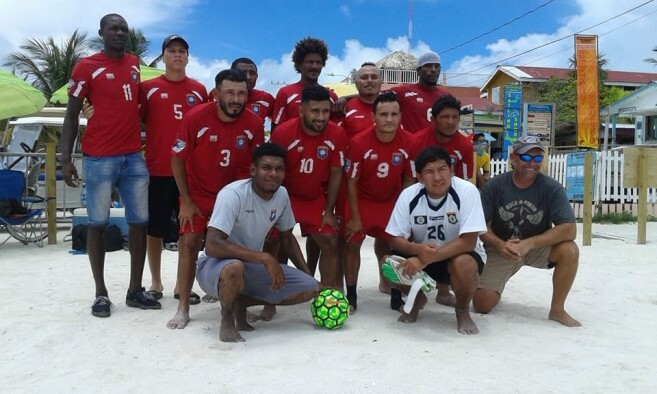 While only one team from each region was able to participate, Los Catrachos FC team of San Pedro represented the Caye Caulker team. From 9:30AM to 4PM, all teams put their football skills in full motion, hoping to claim the grand prize and bragging rights. After several matches, the Caye Caulker team was crowned the champions. Prior to the tournament, a raffle took place, and the San Pedro team won a ticket to automatically advance to the semifinals. The tournament opened with Belize City competing against Belmopan. Belize City dominated the game, easily defeating their opponent 8-3. 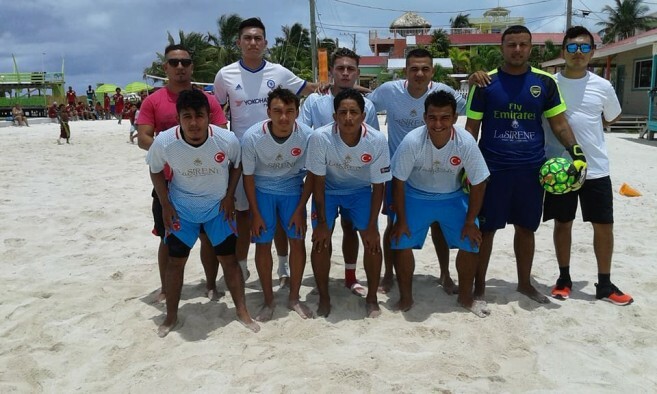 In the second match, Caye Caulker saw Corozal, and after a scoring spree, Caye Caulker won 8-2.
g for the first place in the tournament was Belize City and Caye Caulker. During the grueling match, both competitive teams played rigorously, tying 6-6. 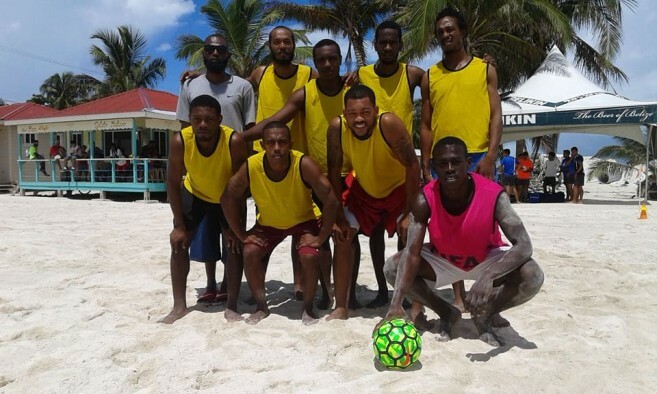 After a penalty shoot-out, Caye Caulker emerged victorious and Belize City had to settle for second place. A short awards ceremony followed, and Caye Caulker was handed a trophy and the first place prize of $800 cash. Belize City took the second place trophy and $400 cash, and San Pedro won $300 cash. Hector Alamilla, San Pedro Town Council’s Sports Councilor, stated that the tournament was a sound success. “I enjoyed seeing the many talents of the players, representing different parts of the nation. It was also a very competitive tournament, with 51 goals scored in total. I am definitely looking forward to more tournaments like this, and I have even expressed my interest to the president of the Football Federation of Belize to organize one in the near future,” said Alamilla. Tony Maldonado, coach and player of the Caye Caulker team, told to The San Pedro Sun that he was thrilled for his team’s victory. He stated that determination was the key to his team winning. “We always aim to win, but this was not easy. It was tough game, but with dedication and determination, we always persevere,” said Maldonado. Sports Council Hector Alamilla thanks the Football Federation of Belize, the Technical Director of Football in Belize Renan Couoh, The Lazy Lizard, all of the participating football team, and La Sirene for being the official sponsor of the San Pedro Team.